Remodeled and refreshed! 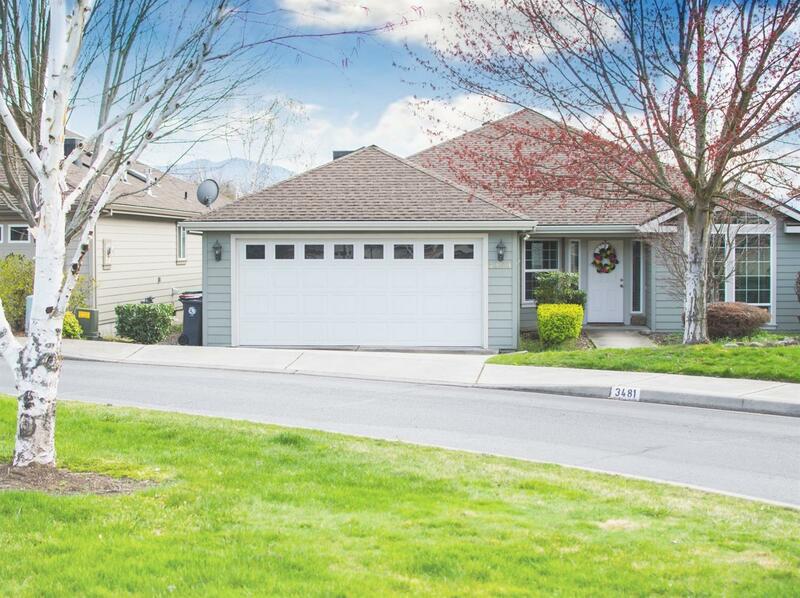 3 bedroom, 2 bathroom single-story home in wonderful, private neighborhood. Vaulted ceilings, open floor plan, and natural light throughout makes this home feel exceptionally bright and open. Living area with decorative ledge, gas fireplace with granite surround, and dark walnut flooring. Kitchen with stainless steel appliances, granite counter tops, and abundant cabinet space. Master suite with walk-in closet and double-sink in the master bathroom. In-home laundry room with above and below cabinet that offer storage space. Concrete, covered patio with recessed lighting and gas outlet for enjoying this outdoor space. Home recently remodeled to maximize square footage. Fresh paint to offer that new-home feel. This is a must see. Listing agent related to sellers.